1. Before bid, please make sure your mobile frequency is 700mhz AT&T in your area. 2. 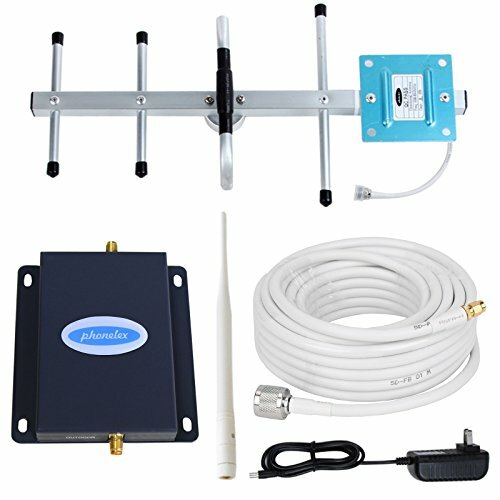 This AT&T cell phone signal booster can only make the weak signal stronger , it can't creat signal , that's means it won't give you any help in an area where there is no signal at all . 1.Check and find a place where your cell phone can receive the best signal outside your house, usually on the roof, or similar high places, then fix the outdoor antenna there, and the outdoor antenna should be pointing to the cell tower's direction. 2.Fix the repeater device somewhere inside the house, the repeater should be fixed in a place where is near from the power socket, and have good ventilation. 3. Runs the cable on the outdoor antenna into the house, and connect the antenna cable connector on the OUTDOOR port of the repeater tightly. FCC authentication certificate, 30-day money-back guarantee , One Year Manufacturer Warranty , All parts included in the kit , It's very easy to install.